The second Monday in April is … today! 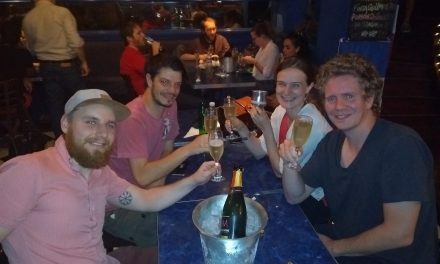 But this month’s Buenos Aires Pub Quiz will be held over for a week, since tonight is the beginning of Passover, meaning that Quizmaster Sam will be having dinner with his Argentine family. As such, the April quiz will take place next Monday, the 17th, at the normal time of 19:30 and in the normal place, La Cigale in the Microcentro. So stay in out of the rain tonight, and brave whatever weather Buenos Aires is throwing at us next Monday instead! The quiz will take place on Monday 17th April, starting at 7:30pm at La Cigale: 25 de Mayo 597 (corner of Tucumán).